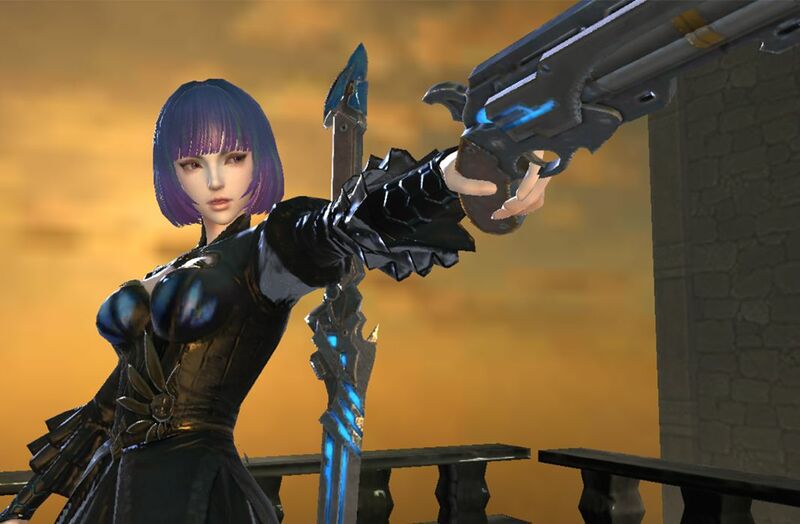 FOX: Flame of Xenocide is a spectacular action game with RPG elements that bears remarkable similarities to works by Platinum Games like Bayonetta and NieR:Automata. The quality of games coming out of Asian development studios has been going up for a while now, but western audiences are often left out of the fun because of language barriers. That doesn’t mean you shouldn’t try to check them out however, since no one knows which ones will make it to the West and which ones won’t. FOX: Flame of Xenocide is one game that you shouldn’t miss out on, since it’s a spectacular title that takes inspiration from games like Bayonetta and NieR:Automata. Platinum games is one of the most acclaimed studios of recent times thanks to its capacity to fill each of its games with lots of personality and great control schemes that truly make you one with the controller. 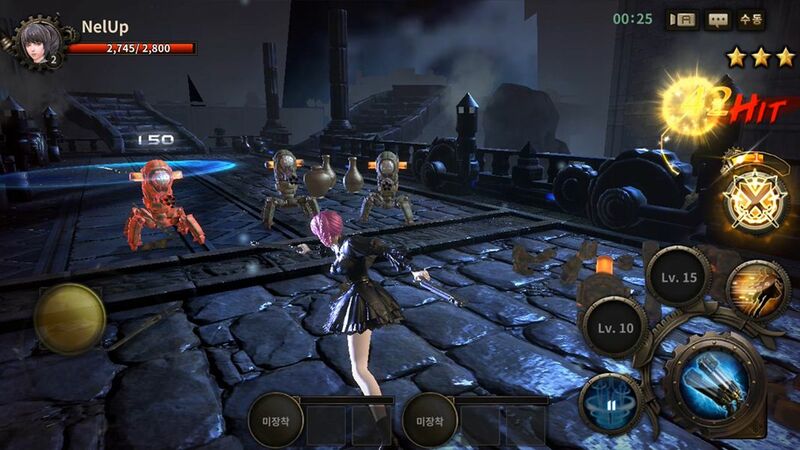 FOX: Flame of Xenocide tries to bring that spectacle to the world of mobile games, although heavily simplified. 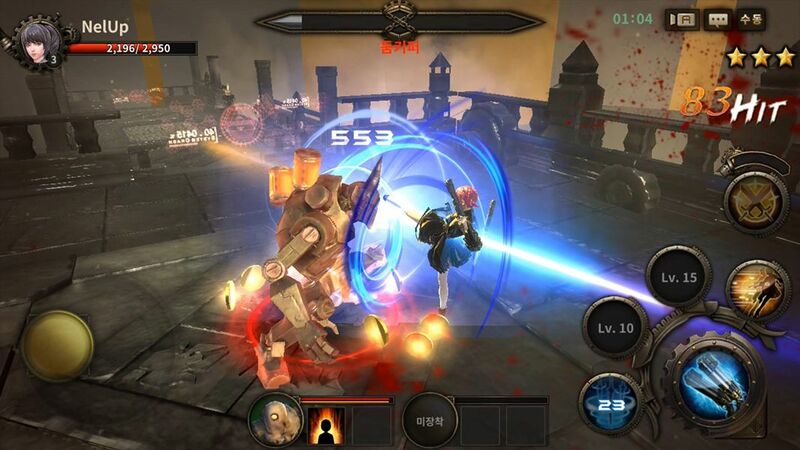 It’s in line with other action RPG games that are now plentiful in the Android ecosystem. In FOX: Flame of Xenocide you start dealing blows right away, since at the end of the day that’s the main point of the game. Once you’ve selected one of the three main characters available, you get right to it: you have to get through various levels of the game by eliminating all of the enemies that cross your path. These battles are quick explosions of special attacks that you carry out with the standard procedure: tapping the little buttons on the screen. Even better, you can turn on automatic mode and sit back and watch the fireworks. 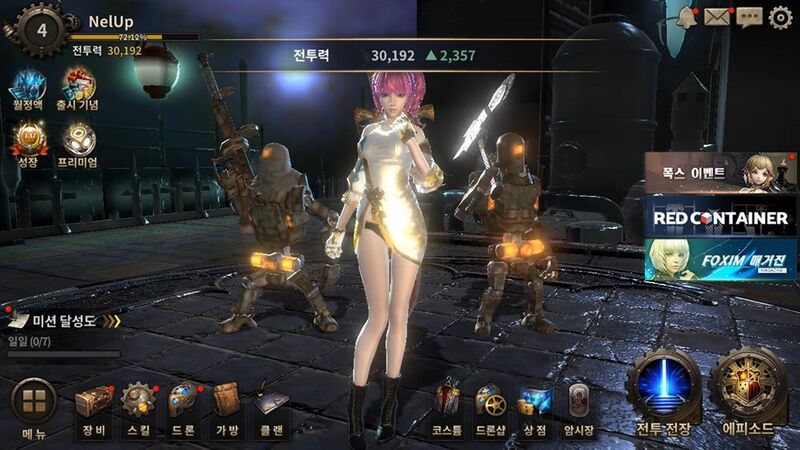 For now FOX: Flame of Xenocide is only available in Korean, and without understanding the language you likely won’t understand much of the story. But if you’re looking to take part in spectacular battles you’ll find it a gem to explore. The popular titles released by Platinum games weren’t mentioned earlier for nothing: the look of the game and the characters’ combat abilities are remarkably similar to Bayonetta, and you’ll recognize designs from the latest work by Yoko Taro in the enemies and stages of the game. Be warned though, the game comes with the standard fanservice of Asian games, and at times it can be a bit shameless.